French (le français [lə fʁ̥ɒ̃sɛ] is spoken by about 265 million people in France, Belgium, Luxembourg, Canada, Switzerland, Italy, the USA, Lebanon, French Guiana, north, west and central Africa, Madagascar, a number of islands in the Indian Ocean, Haiti and other Caribbean islands, Indochina, New Caledonia, the New Hebrides and the French Pacific Territories. French is an official language in 29 countries, most of which form la francophonie (in French), the community of French-speaking countries. It is an official language of all United Nations agencies and a large number of international organizations. According to France’s Ministry of Foreign and European Affairs, 77 million in Europe speak French natively. Outside of France, the highest numbers of French speakers are found in Canada (25% of the population, of whom most live in Quebec), Belgium (45% of the population), Switzerland (20% of the population) and Luxembourg. In 2013, the Ministry identified French as the second most spoken language in Europe, after German and before English. Twenty percent of non-Francophone Europeans know how to speak French,[clarification needed] totaling roughly 145.6 million people in Europe alone. As a result of extensive colonial ambitions of France and Belgium (at that time governed by a French-speaking elite), between the 17th and 20th centuries, French was introduced to colonies in the Americas, Africa, Polynesia, the Levant, Southeast Asia, and the Caribbean. 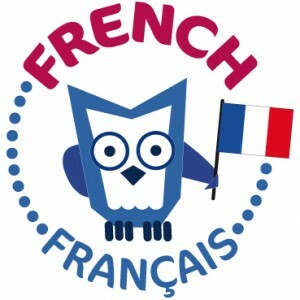 We recommend, Lingowls Language Learning Resources, they have a large range of bilingual books and french resources for sale along with many more.